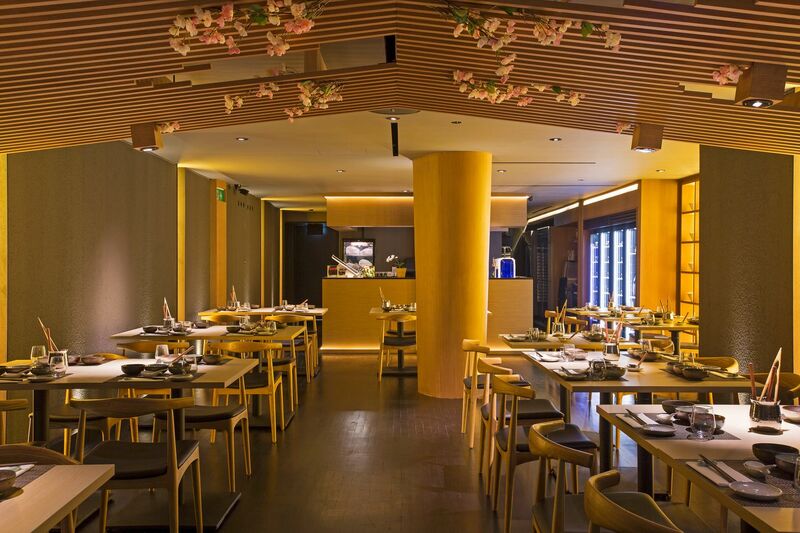 Step into Sakurazaka at the affluent Greenwood Estate and you would be forgiven for thinking that you are in a restaurant in Japan. 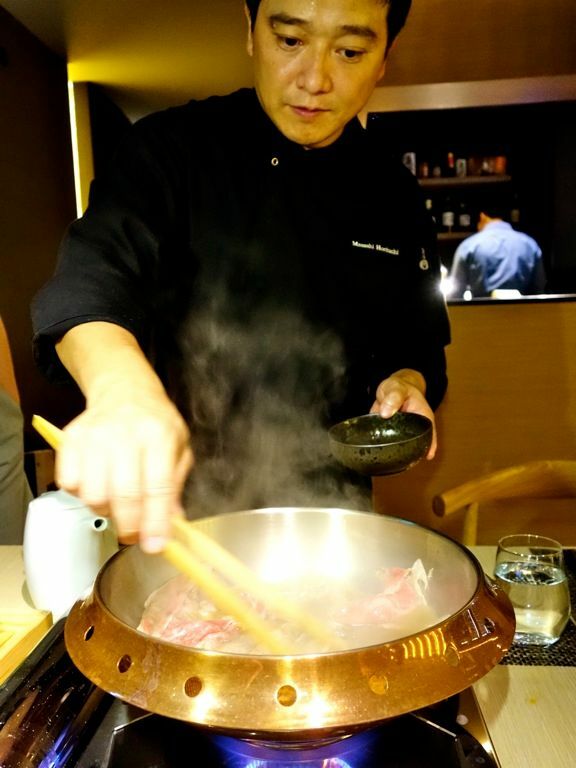 Sakurazaka is the new restaurant of Consultant Chef Masashi Horiuchi (also of Shelter in the Woods and Verre Wine Bistro), and it marries Masashi’s Japanese heritage and European culinary roots in this Shabu Shabu and Sukiyaki restaurant. 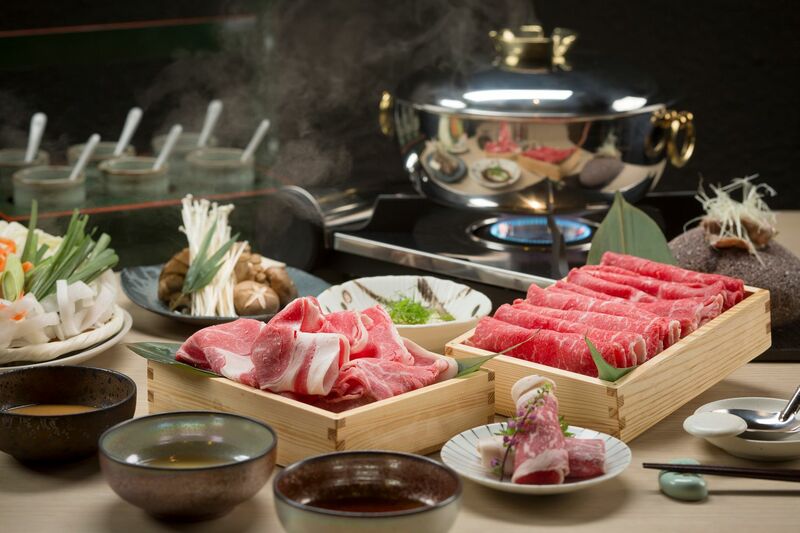 Tuck into one of the 3 Shabu Shabu sets available at Sakurazaka- Pork ($48), Seafood ($54), or Beef ($64). 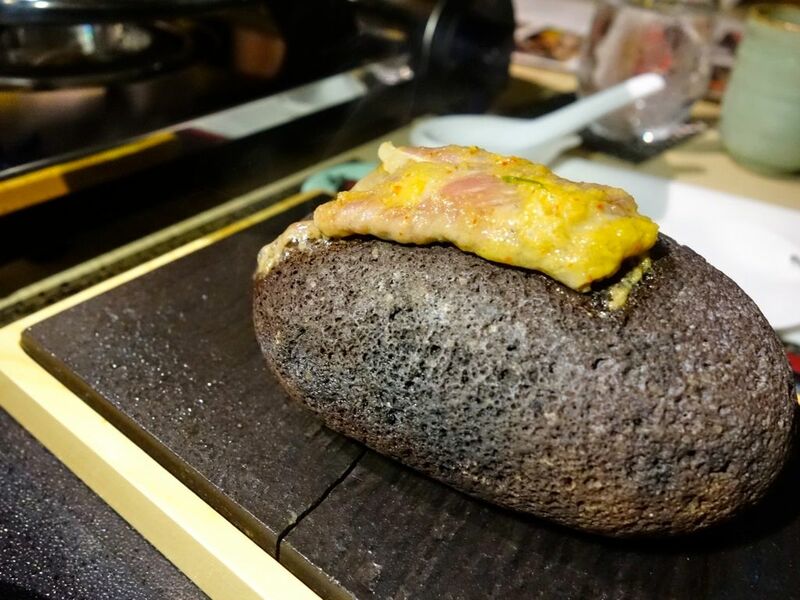 Each set comes with the stone grilled Ishiyaki (Iberico, Seafood, or Wagyu), meats, vegetables, and a dessert (traditional Kakigori) to end off! It's always fun to be able to participate in your meal. 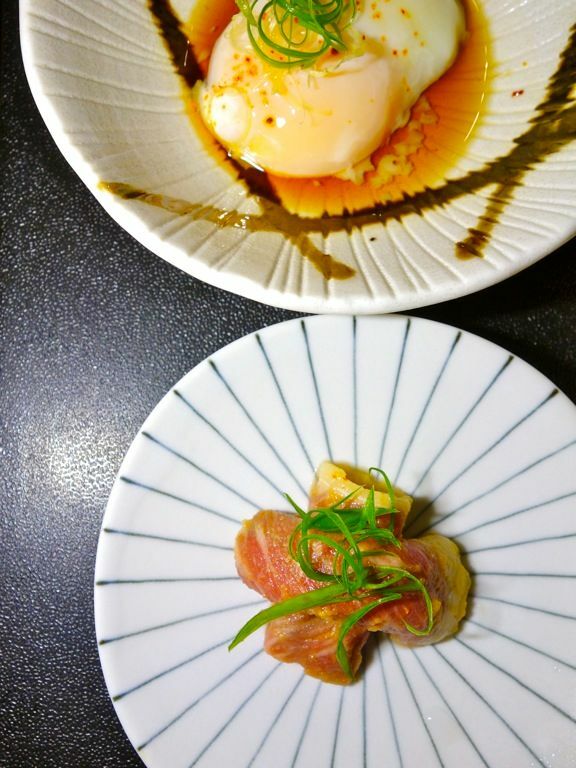 Dip the sizzling grilled meats into the onsen tamago with mild Sukiyaki sauce. 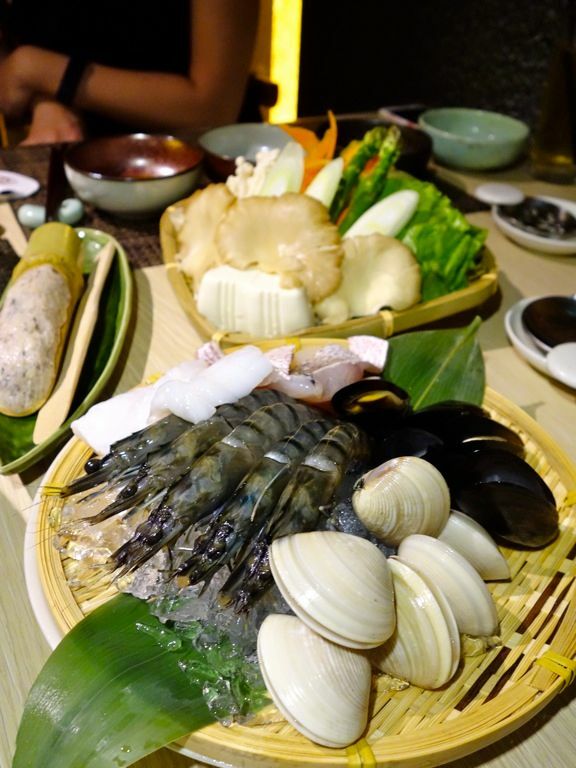 Have your choice of Shabu Shabu in 6 different broths specially created by Chef Masahi. Expect an infusion of European flair in the special soup stock with the rich and tangy Bouillabaisse stock and light Beef Consommé; or have a taste of Kyushu with the Ago Dashi (dried flying fish stock). Of course, the regular Chicken, Tonkotsu, and even Soya Milk are available. 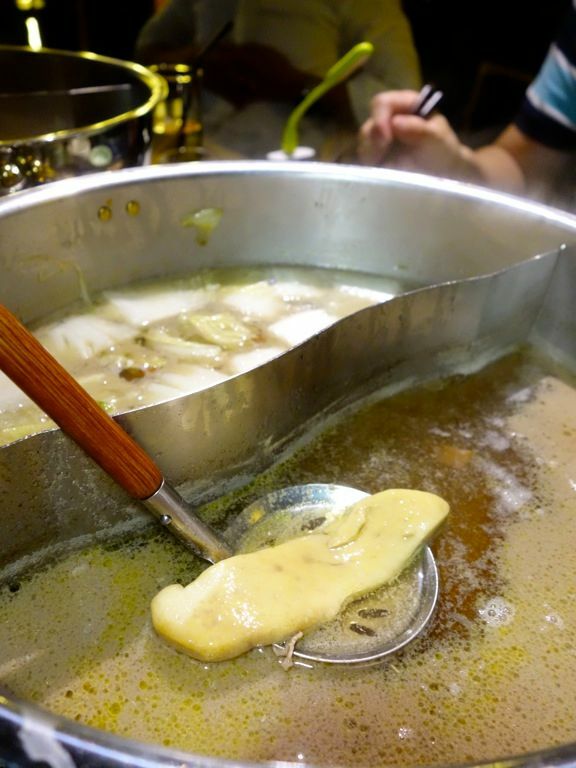 My favorites are the versatile Ago Dashi, and the slightly milky Tonkotsu. To accompany the prime meats and seafood, 3 special dipping sauces are provided. My favorite is the refreshing and light peppery and very versatile Tamari Ponzu made with miso essence and yuzu. The Shiyo Ponzu is a slightly tart sudachi with seaweed salt. Of course, there's also the rich Goma sauce, with a touch of espelette pepper in this one. Have the Seafood set with the Bouillabaisse stock for that superb umami flavor at the end. Tiger prawns, white clams, succulent scallop, red snapper, squid, and mussels are in this one. The fresh prawn paste was definitely my favorite of the lot. The minced prawn is mixed with lotus roots, shiitake mushrooms, and shiso. 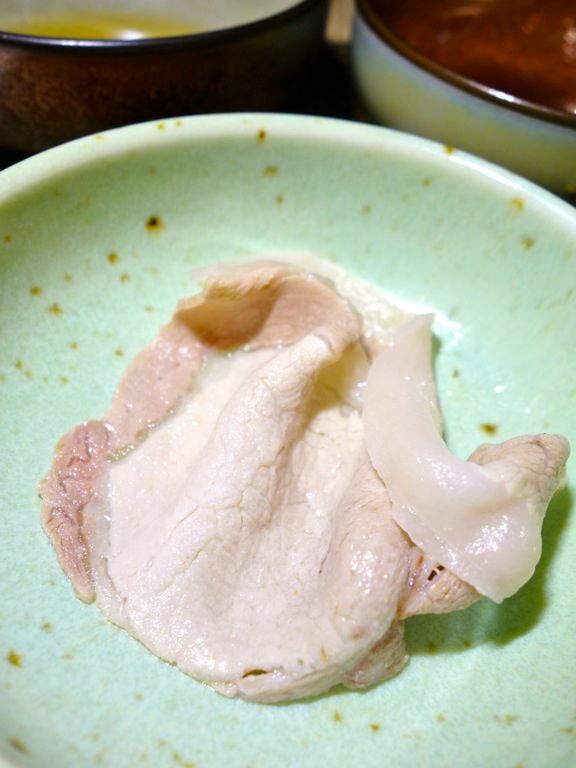 The Pork set is very enticing with the Kagoshima Shirobuta Pork (loin and belly). This meat is whiter, tender, and slightly sweet; and the fats are translucent with a light chew. Superb! 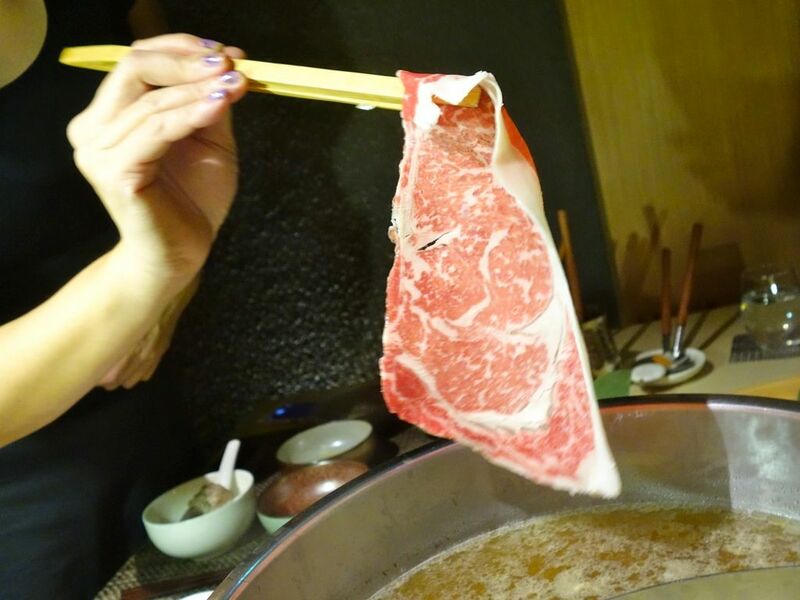 Beef lovers would go gaga over the Japanese Aomori rice-fed beef (striploin and rib-eye)! The cows are fed with whole rice crop and spring water from Mount Hakkoda for that umami flavor. Lucky them and lucky us! We enjoyed the meaty texture of the striploin and the ribeye had a good fat to meat ratio as well. I actually prefer the Aomori to the Joshu Wagyu. 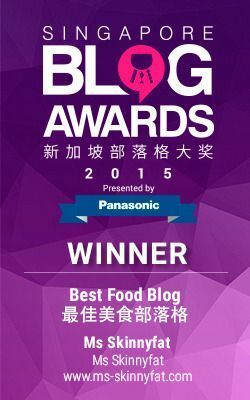 I'm not saying that the F1 Joshu Wagyu Beef from Gunma isn't a good option (a la carte option). Just look at that marbling! 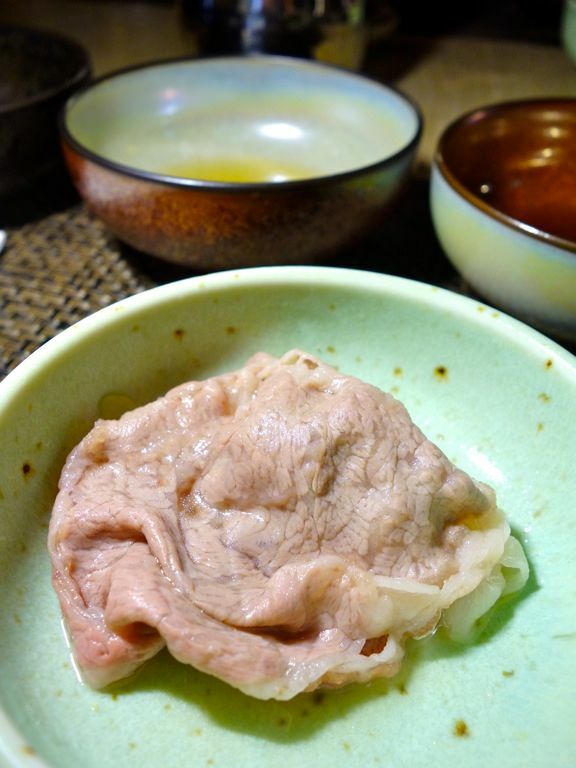 The fats melted easily with a few swishes in the soup (have the Tonkotsu for that added beef-pork savory flavor), and the huge skirt of beef would break apart if you are not quick enough. The amount of tender fats was just a little of an overkill for me. The overall mouth feel was a tad fluffy and pillowy. It's just a personal (non) preference #firstworldproblem. You could also order the generous slices of foie gras for an added indulgence. I still prefer my foie gras seared. 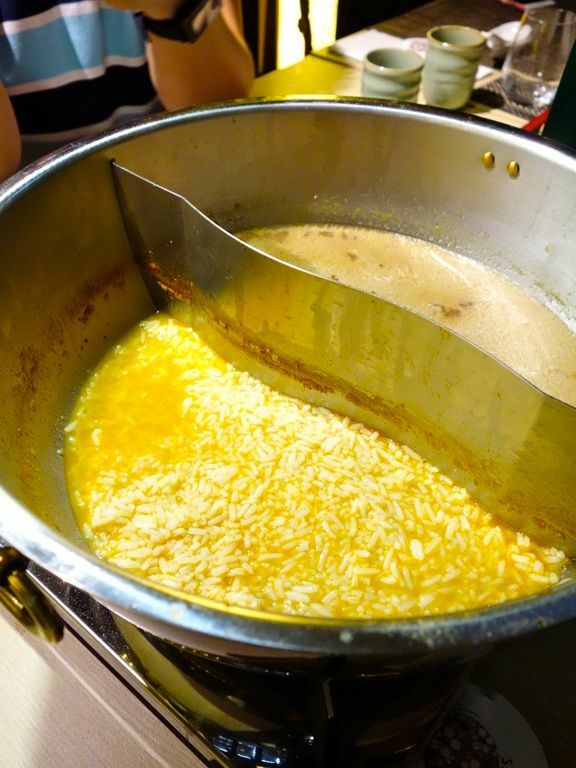 At the end of meal, you can choose to have rice poured into the leftover broth in the pot for Sakurazaka's version of a risotto. Cheese and egg are added to the mix as well and you could then top it up with the side condiments of chili miso, garlic and chili oil, spring onions and sesame. Our version made with the Bouillabaisse stock created an explosion in our mouths. It tasted like a creamy Hae Bee Biam Chili Chwee Kueh almost! I'm never going anywhere else for Sukiyaki after being spoilt by Chef Masashi. 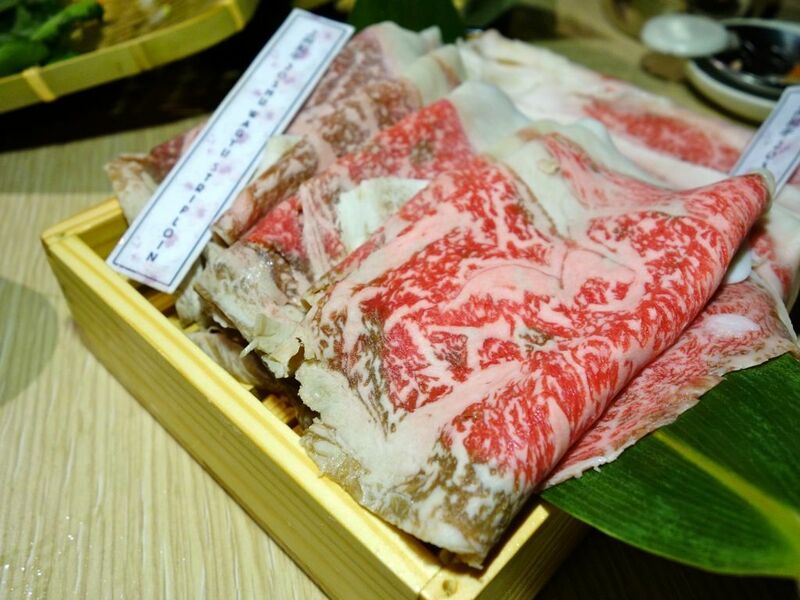 The F1 Wagyu-Holstein cross-breed beef in the Sukiyaki set has a very good marbling and is considered the best Wagyu cross-breed. 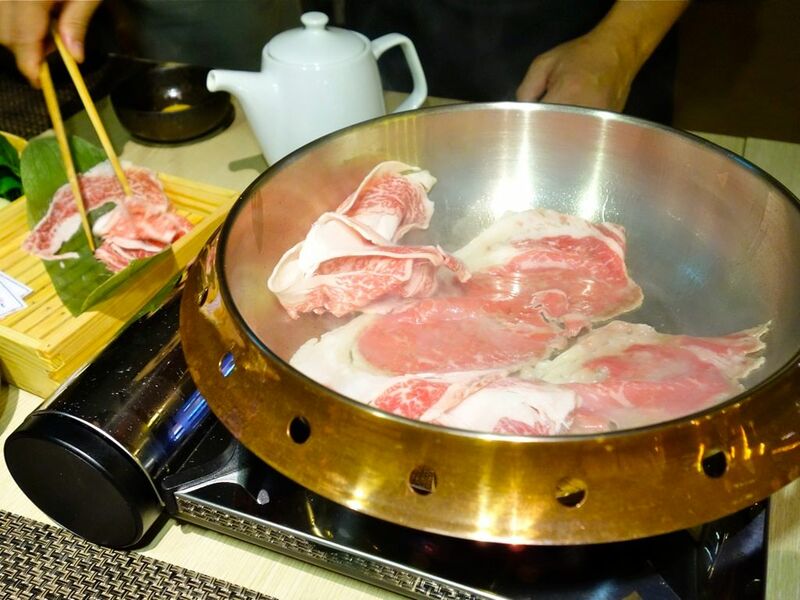 The meat and vegetables are first cooked in a pan, followed by the addition of broth and condiments such as soy sauce, sugar and mirin. 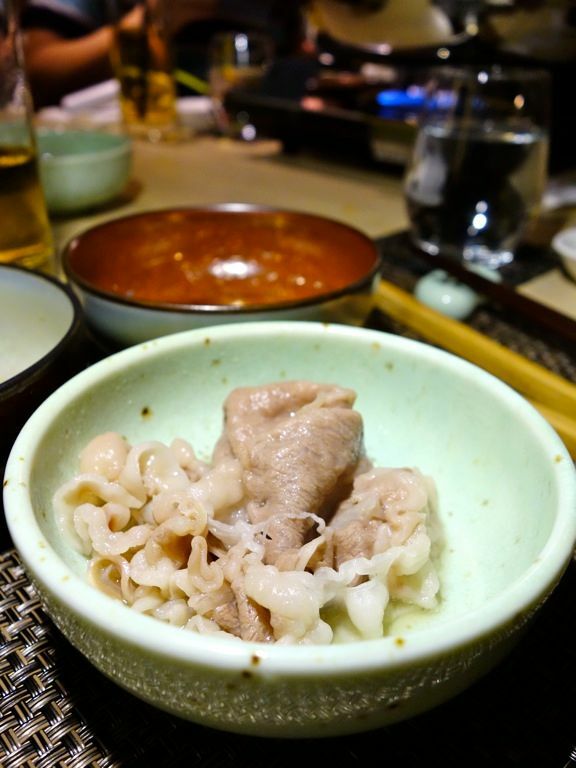 Chef Masashi had refined the sukiyaki sauce and made it less sweet to suit the local palate and we thought he nailed the balance. The recommended sauces are the ponzu, and sesame sauce. And obviously there's a raw egg in the mix too. 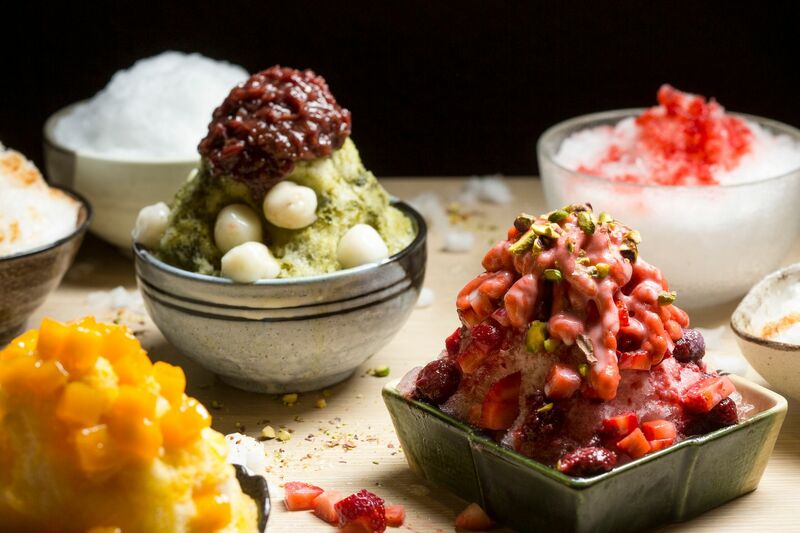 Rounding off the meal is the Kakigori, made of finely shaved ice, flavored with syrup and condensed milk – similar to patbingsu, haluhalo, and ice kachang. Ujikintoki Green Tea is obviously a crowd pleaser and there's an intense green tea ice cream hidden inside. Another refreshing one that we enjoyed is the Port Wine Kakigori with port wine jelly and blood orange. I'm definitely a fan of Sakurazaka. 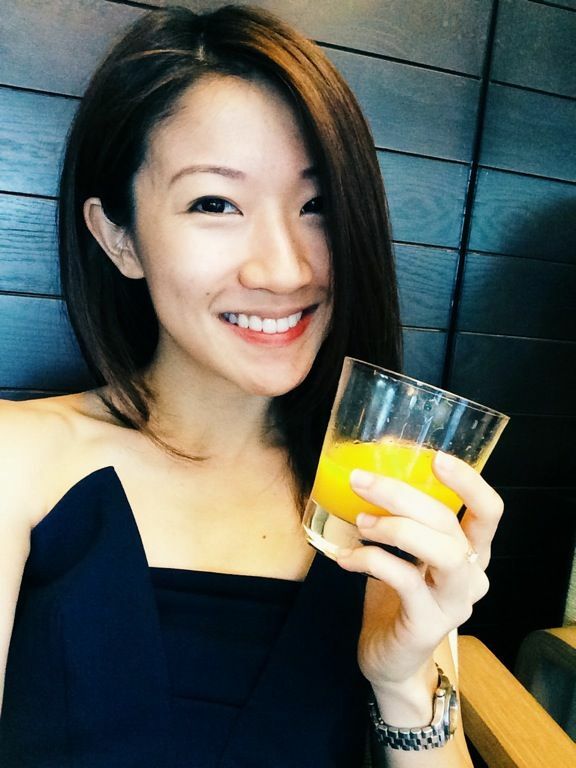 I think this is almost the only reason for me to make the trek down to Bukit Timah. Individual sets are available now so you can satisfy your craving even if no one else wants to (are you kidding me)!